Succinct infographic on the top 10 Social Business Practices by IBM VP, Social Business and Collaboration, IBM. I met Sandy at a session in Social Media Week NY 2012, read Get Bold > http://author.booksbysandy.com/, and was inspired. Content well thought out, social case studies done right & worth following. Enjoy! Happy Monday in the Great Austin Texas! 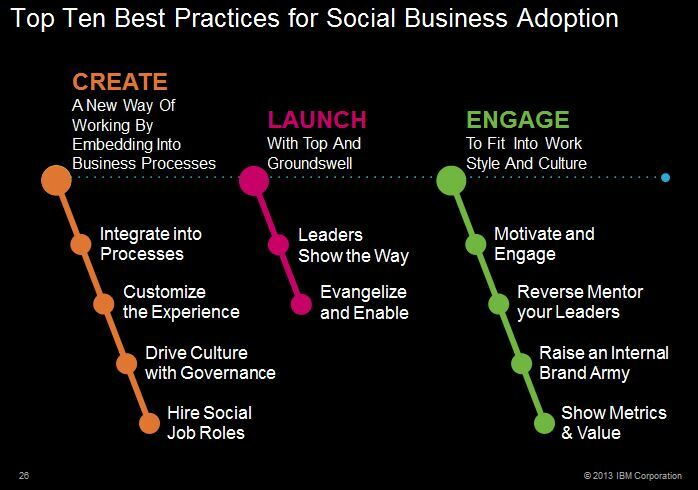 Today we are on step #7 of the Top 10 Best practices for Social Business Adoption! As a reminder, here are my top 10! So here’s the best practice on Motivation!! Adoption Best Practice #7! Motivation! ← Have FUN with Social Media. Make Your Own Someecard!